I was immediately catched by the great combination of the cream dial, brown sub registers and blue hands, hour markers and (internal) bezel. 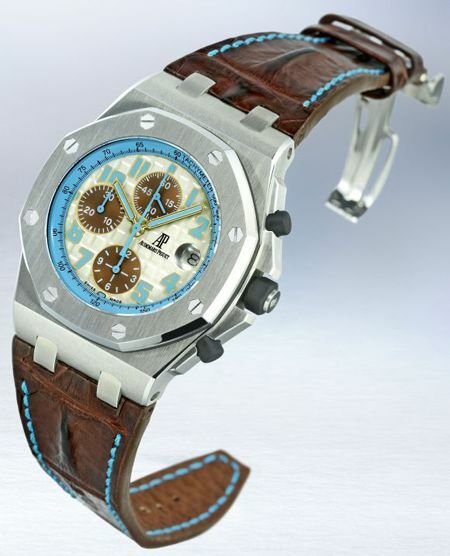 The brown croco strap with blue stitching completes the watch. Although I wonder if I will still like the blue accents in 5 years from now, I think they are great looking now! If I could spend 20.500 USD (and probably more if you can find one of the 300 pieces) on a watch anyway, I probably couldn’t care less. Whatever. 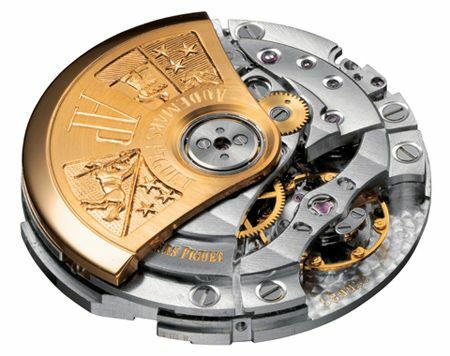 Just another lame excuse to create a great looking watch in only a limited production number. The watch is (or was..) only available through London Jewelers in East Hampton and South Hampton and at the Audemars Piguet boutiques in both New York and Bal Harbour. Again, too bad that they saved this version of the Royal Oak Offshore for a very limited production to honor a highway somewhere because I am really liking it and chances are little that I actually can see one up close. 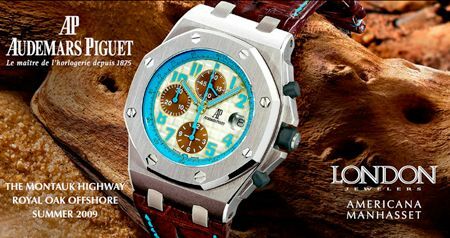 Looking at this watch makes me want to wear my AP RO even more, but I guess I’ll have to wait another few weeks until it returns from the Audemars Piguet dealer, since it needed a bit of regulation (and AP needs 6-8 weeks for this… ).